Jamie Kravcak has spent over a decade in higher education for both non-profit and for-profit entities. 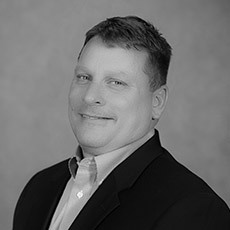 Jamie has also served in various roles including business development, enrollment management, marketing and operations. In his role as Chief Operations Officer, Jamie focuses on strategy, leadership and operations, working closely with all Synergis Education’s partner institutions. Jamie helped implement the core principles of Synergis Education that drove Synergis Education’s reputation as a best in class services company known for its commitment to mission and values. Prior to working at Synergis, Jamie served on the coaching staff at Pennsylvania State University under the late Joe Paterno. After moving on from Penn State, Jamie began at the Institute for Professional Development (IPD), a subsidiary of Apollo Group, where he served for five years. In his IPD career, Jamie served roles in business development, enrollment management, and finally as the director overseeing the contract at Gwynedd Mercy University (GMercyU). In July 2011, Jamie became the Assistant Vice President of Marketing and Enrollment for Mercy. During his time at GMercyU, Jamie increased the brand awareness and geo-footprint of the university, while incorporating the use of analytics to help drive decisions. In addition, Jamie and his team oversaw the marketing transition from college to university status. In April 2014, Jamie became the Associate Vice President of Client Relations for Synergis Education, overseeing the GMercyU contract. Under his direction the GMercyU/Synergis partnership launched their first doctoral program, an Executive Doctorate in Educational Leadership, started an Accelerated Bachelor of Science in Nursing and increased enrollment by 80%. Jamie is also a product of adult education himself, earning both his bachelor’s and master’s degrees in his 30s, including his Master of Business Administration from Cardinal Stritch University.